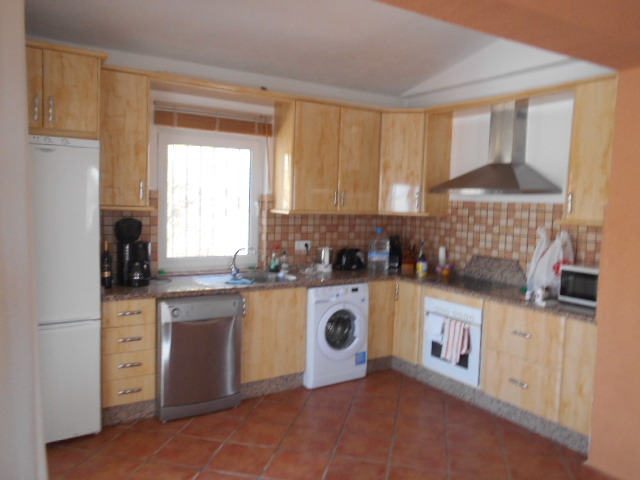 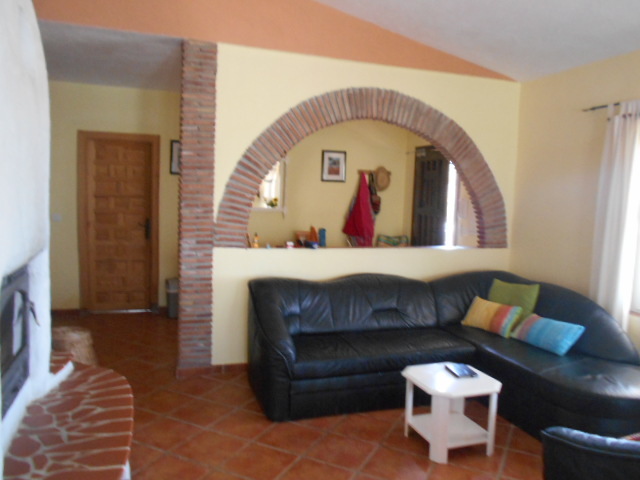 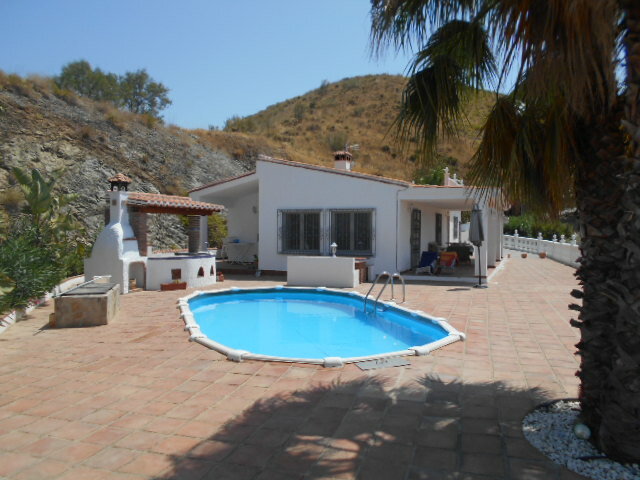 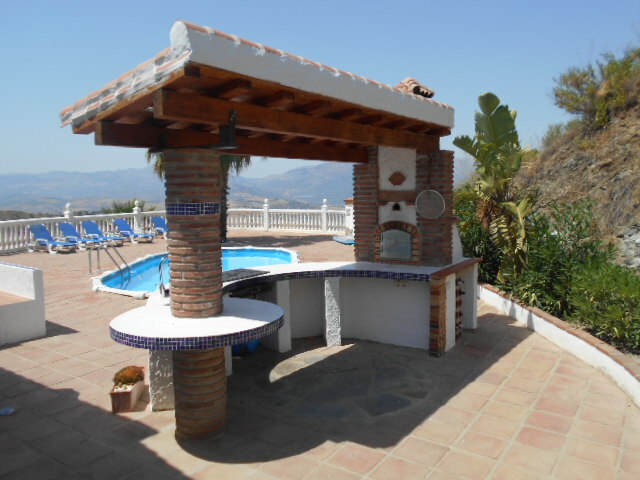 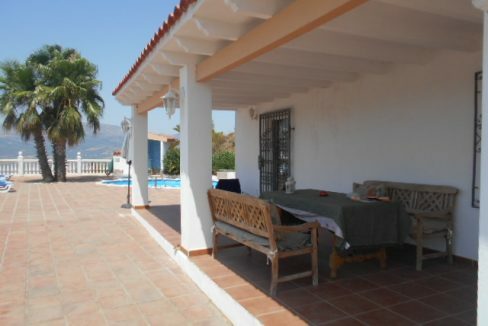 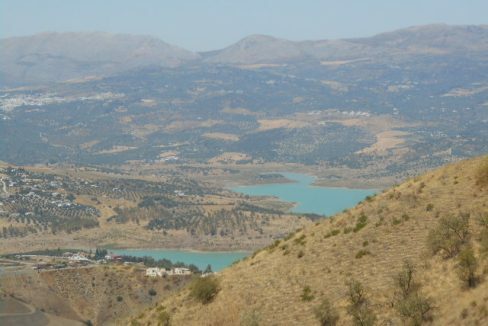 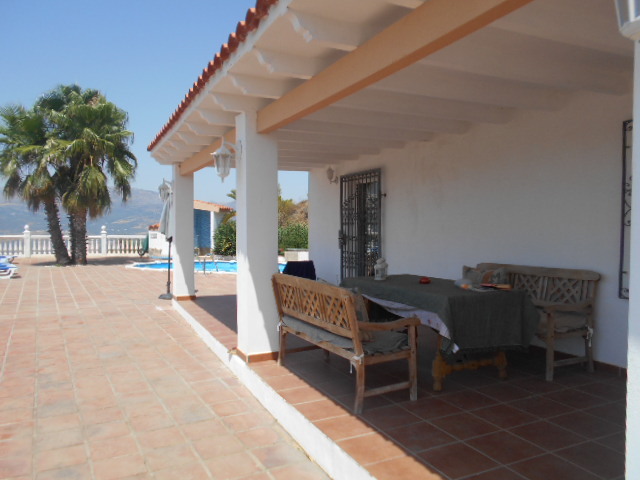 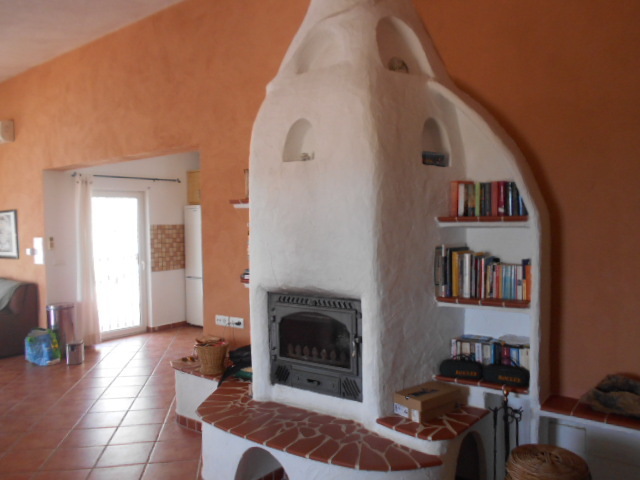 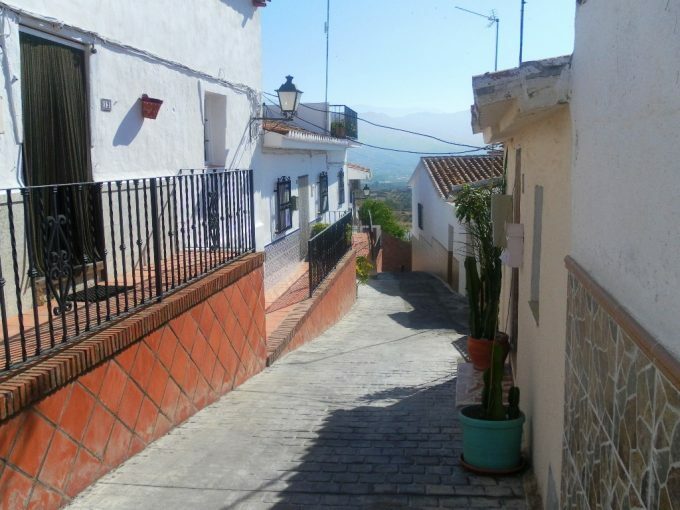 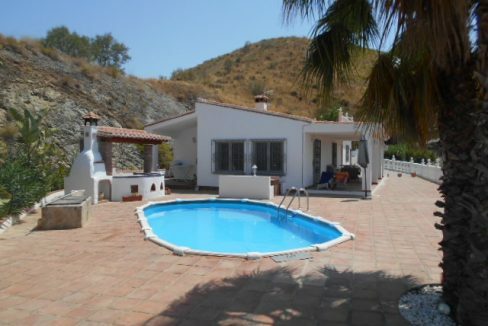 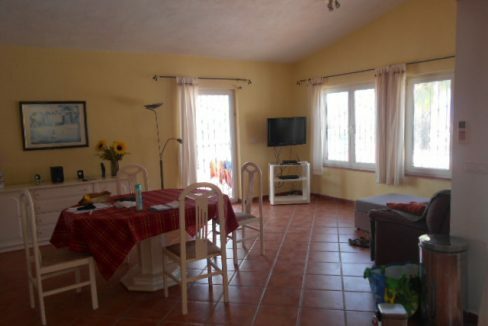 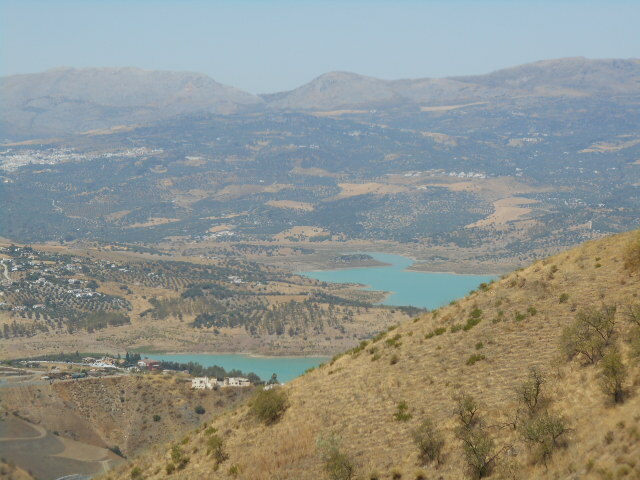 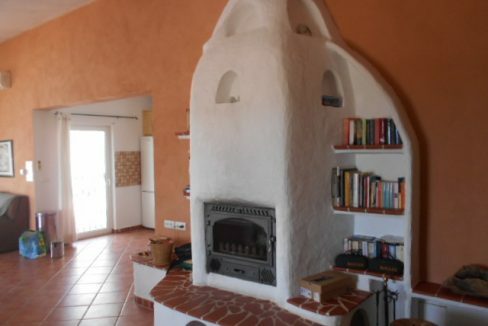 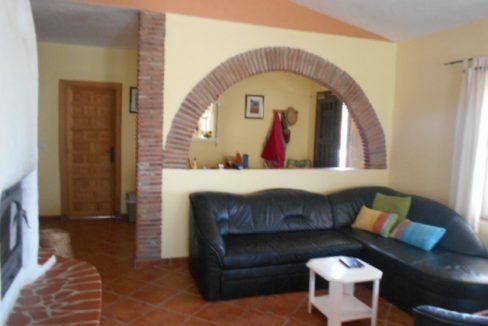 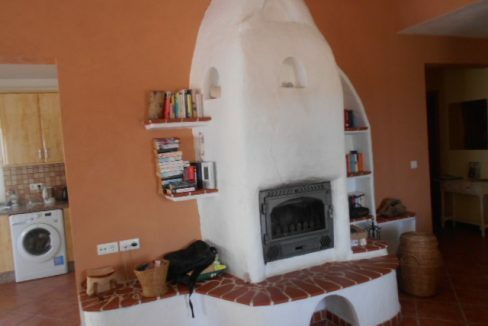 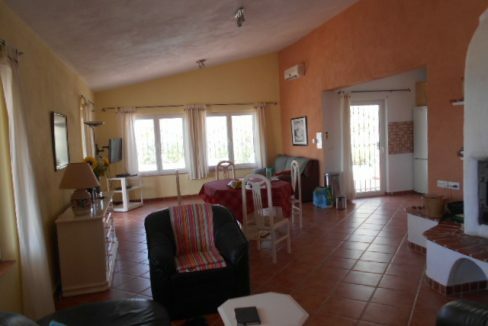 Stunning 3 Bedroom quality Villa set into the mountains above Los Romanes and Lake Vinuela. 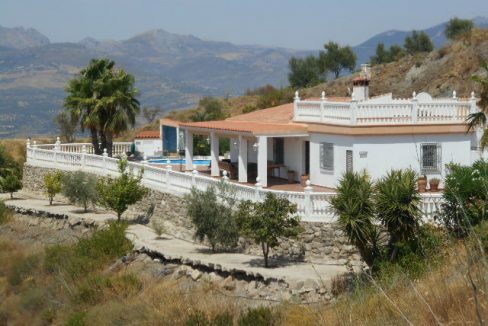 Villa is set on one level with a roof terrace. 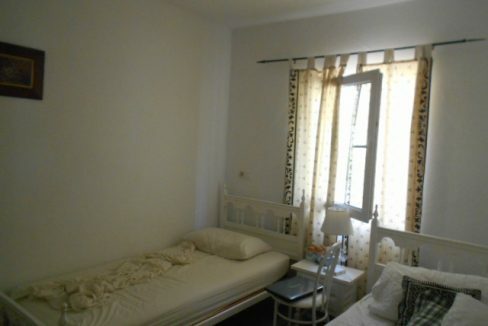 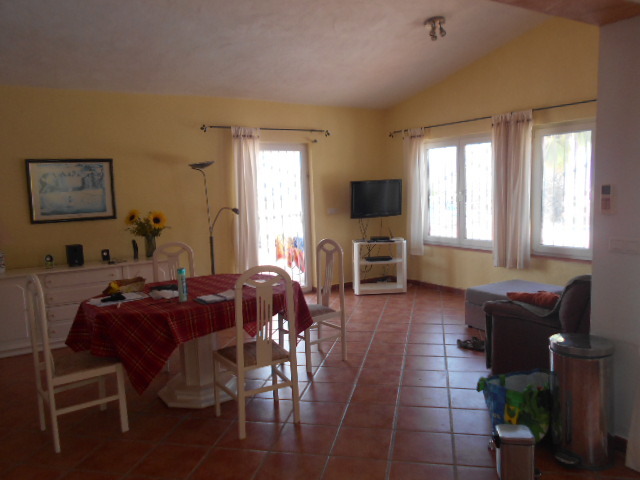 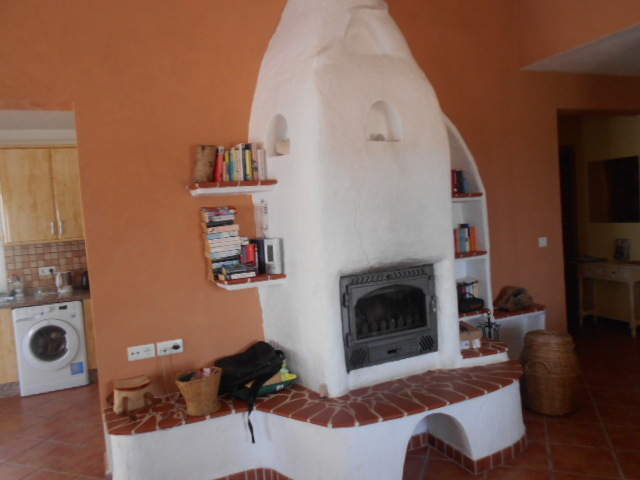 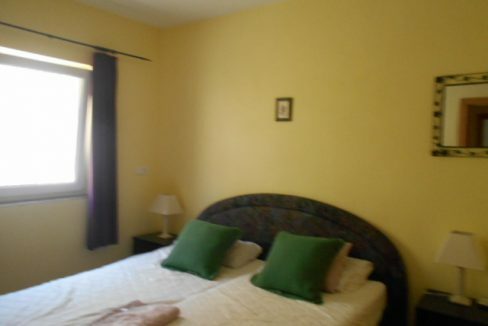 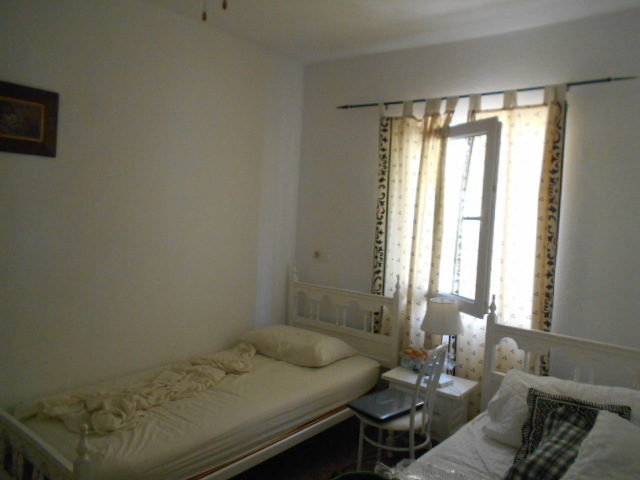 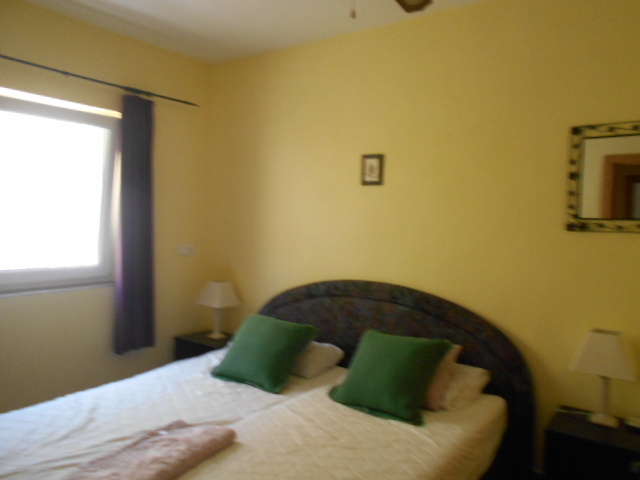 The villa has 2 double bedrooms with fitted wardrobes and the third bedroom is a large master suite with en-suite bathroom with corner shower bath and bidet. 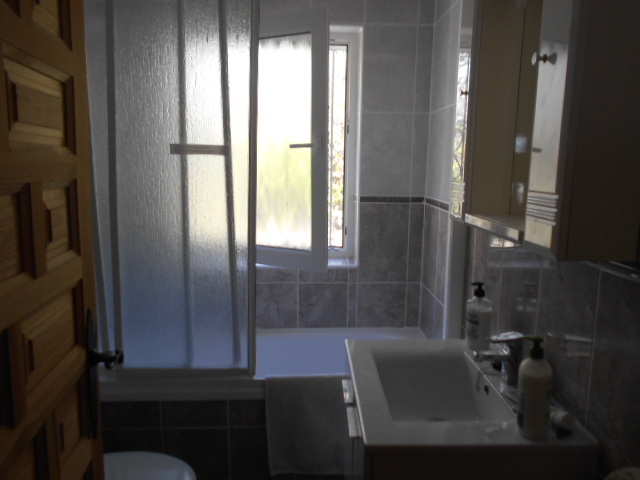 There is a further family bathroom with bath and shower. 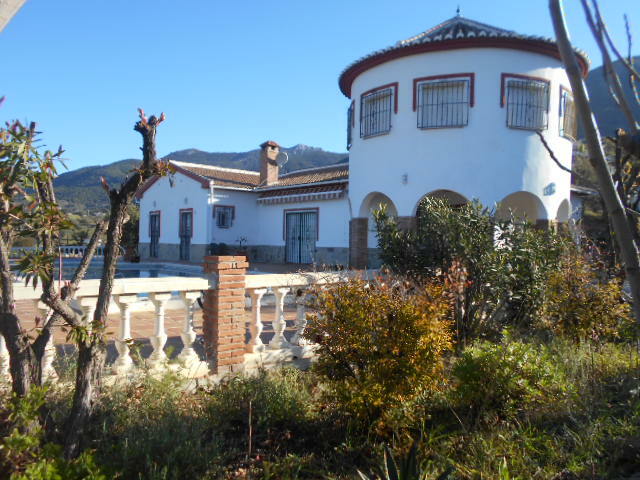 The large lounge diner has double aspect windows giving views over the lake and mountains and also benefits from a feature log burner. 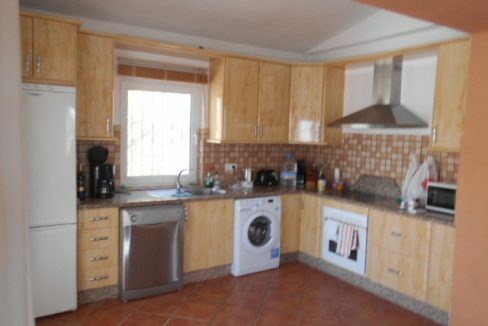 The larger fully fitted kitchen comes complete with washing machine, dishwasher and microwave and has a door leading directly onto the pool area. 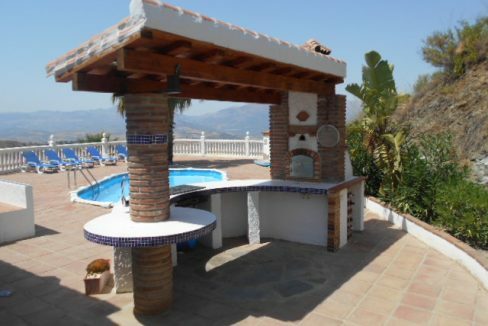 Outside there is a large pool, fixed bar and kitchen area along with a covered dining area. 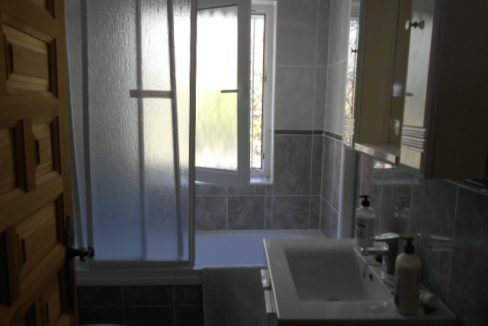 The property benefits from Mosquito blinds throughout and hot water gas. 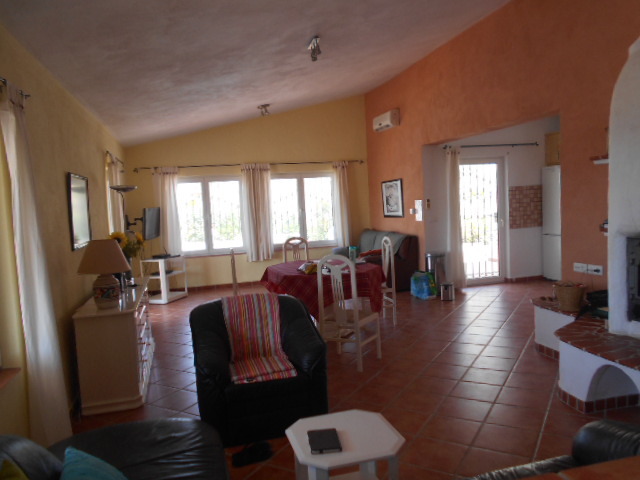 There are also several additional covered terraces to the front and side of the property. 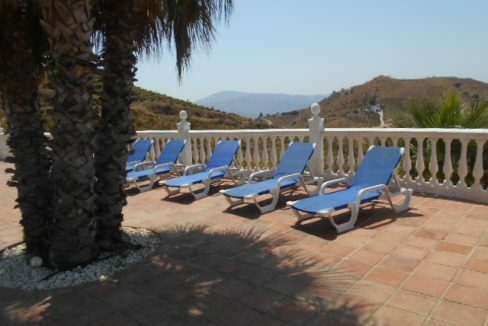 The property is fully fenced and gated and has parking for several vehicles.